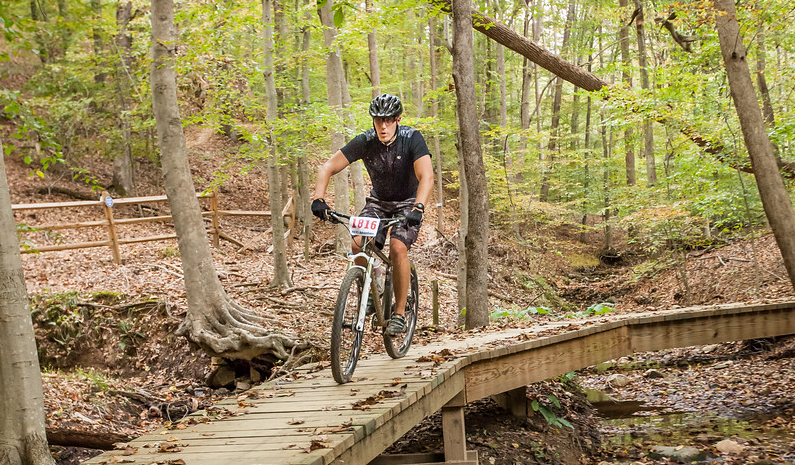 Fountainhead is pretty much the best mountain bike trail in the Northern Virginia, its solid workout testing not only your skills but also your stamina. 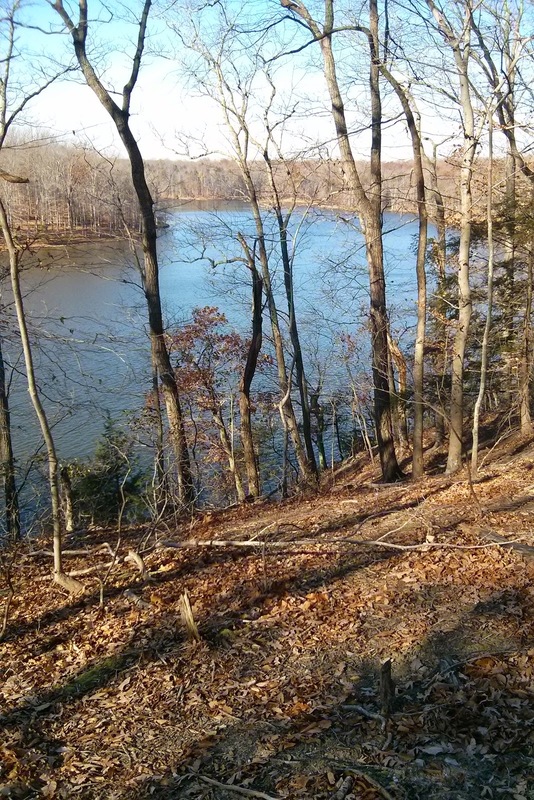 Thanks to The Fountainhead Project its been constantly expanding, adding new trails and additional mileage. The trail is made up of three main loops, Green (beginner), Blue (intermediate), Black (advanced). The black trail has been seeing pretty much all of the new work, and as it was spring since I last had chance to attempt it when a colleague from work suggested we give it a go I was delighted. At the start of the ride, the temps were just below freezing however did warm up a few degrees as we headed round. A quick stop to loosen a jockey wheel on my colleagues bike and we made good progress towards the entrance to the black loop. The black loop its fair to say is an extreme challenge but great fun, we decided that we were going to take it steady and enjoy the ride today rather than trying to power though each section. 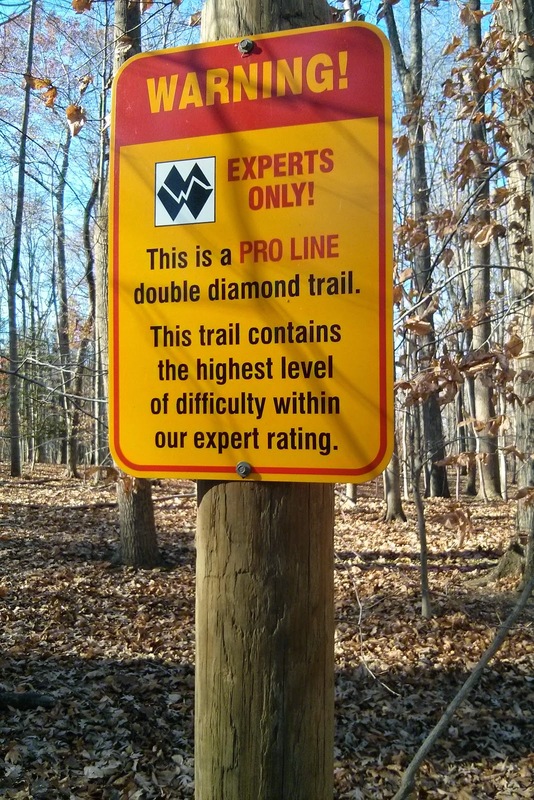 As we get through the Black section there's an extremely prominent sign warning of the skill level required to progress through the trail or an option for a ride around. Undeterred we pressed on and it was time for me to get the adrenalin pumping and take on the first main drop. Despite the challenging terrain of the black loop and the extra energy required to keep pressing on, you are awarded with some awesome scenery making it even more worthwhile. All in the moving time was just short of 2 hrs, with a total time of just over 2 hrs 30. Next time I'm sure will be a little quicker as we've gotten to ride some of the new features, aside from an energy wobble a few miles form home, It was a great ride and I can't wait to get back out there.